Knowledge is power. The more information you have about anything, the more confidence you will have to talk about that product. The more confidence you have, the more enthusiasm you will project, and enthusiasm is contagious! Many dealers use BioZyme® products, so they have first-hand knowledge and enthusiasm to share with customers and potential customers. However, other opportunities still exist for you to enhance your product knowledge, and therefore share your enthusiasm about the products. The Master Dealer Program is a great way to expand your product knowledge and help build your confidence about products and programs you might need some additional information about. The online training modules cover a variety of topics, including the overall BioZyme company information and the Amaferm® advantage as well as all the individual product lines. “When I started the classes, little did I know the outcome would be so great – from learning about nutrition, how to increase sales and the magical ‘Amaferm.’ As they say, knowledge is power. I am thankful to be part of the BioZyme family,” said Yolanda Novack, Master Dealer from Novack Feed & Grain in Lankin, N.D.
Once a dealer successfully completes the training modules and carries at least four of the product lines, they become recognized and marketed as a Master Dealer. It will receive a special designation on the Dealer Locator page on the website, signage with the Master Dealer designation will be provided to the store; and employees who complete the training will be given a special jacket with the Master Dealer logo on it. more enthusiasm, and therefore should increase their sales. Dealers with more than one employee interested in completing the training should contact Langdon directly at 816-596-8782 and she will give that employee access to only the Master Dealer Training modules on your Online Dealer Center. Every employee who completes the training will receive a special jacket. If you are going to survive in business, there is just one thing you need to master – sales. That’s right. You have a product or service that you offer, now get out there and sell it. That seems obvious, but there are definite steps to mastering the art of sales. According to Entrepreneur.com, there are 10 traits that make a great leader. 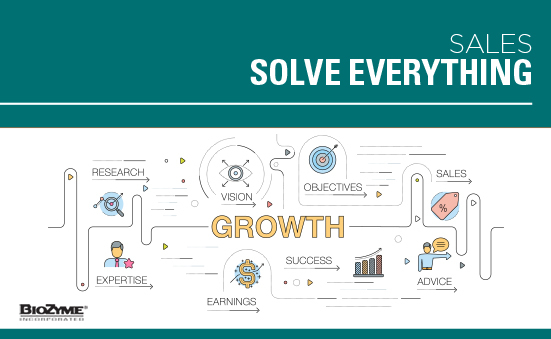 These traits, combined with the conviction-based selling technique, will attract customers and help you master your sales skills. What qualities do leaders possess that make them master sellers? 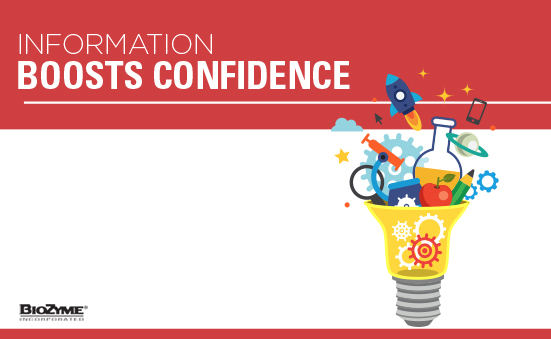 Confidence – They are sure about their skill/product, know its value and are proud of being associated with it. Commitment – Leaders are committed to their vision, mission or goal. They pursue it zealously, no shortcuts. Integrity – Leaders possess strength of character and maintain honesty with all stakeholders – organization, employees, vendors and customers. Above par soft skills – Leaders know how to treat people around them, be it business associates, partners or customers – they treat everyone courteously with utmost respect. Good leaders concentrate on building a relationship first, then on closing the sale. Continuous learners – Leaders are always on the lookout to update their knowledge and skill set and they share it openly with their associates. Not only this, they also seek feedback and if genuine, they implement it. Target oriented – Leaders are very target oriented – they plan and execute as per the plan. Good listeners – They are very good listeners. They pick up on subtle cues and know without explicit communication when a deal can be pursued further or when they need to take a step back. Good communicators – Along with being good listeners, leaders are well versed with the art of making small talk. A leader effectively uses the ‘you attitude’ to put people at ease and gets them to voluntarily listen to what he has to say. Problem solvers – Leaders by nature are problem solvers. Instead of letting an issue foster, they deal with it on a priority to sort it out. Product and market knowledge – last but not the least, they have in-depth product knowledge and they know how the market in which they operate performs and where it is headed – i.e. along with the present they also have an eye on the future. Instead of using a relationship-based selling technique or even transaction-based selling, leaders use the conviction-based selling method, which exhibits their passion toward their area of expertise, in our case animal nutrition. This creates a ‘pull’ effect; ‘an attraction’ toward the leader, creating a demand for his or her expertise, skills, services and products. As you review the list of leadership skills that will help you master the art of selling, focus on the areas where you are the weakest. You should see gradual increases in your sales and the numbers grow in your checkbook. Often, we hear dealers say, “the products sell themselves.” But how do our products get sold to new customers or those who are a little skeptical? We need to know our customers’ needs and understand exactly what they are trying to achieve. The best way to get to know your customer or a potential customer is to have a conversation with him or her. Discover what goals they have set forth and listen. 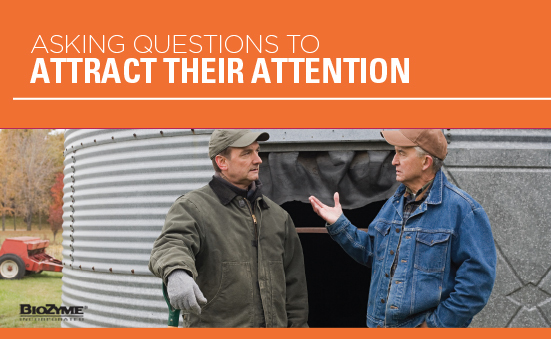 You will likely need to lead this conversation because most people, especially in agriculture, don’t like to talk about themselves or share too much information. And, your questions will have to be more of a conversation than an interview, seeming more natural than just a list of predetermined questions you have with hopes to make a sale. People don’t always know what they want. However, they usually know what they don’t want. Use these 10 questions to help you start a conversation to attract new customers to your business. When it comes to (segment of industry person is in) what is your biggest challenge or hurdle you face when trying to meet your goals? Which of your needs are not currently being met? What products/services do you value the most? How can the products/services you use be improved? What is one area of your business you need to improve on? And how can I help you make those improvements? What features of a product/service make you annoyed? Would you be willing to invest more in a product/service if you knew the ROI would be greater than what you are currently experiencing? What opportunities or benefits are you willing to pay more for? At what price does my product or service provide great value to you? Have you ever thought, “if only a company like ours could do [BLANK] for me, life would be so much easier?” …Tell me about BLANK and how you would find it useful. Once you have a conversation started, really listen to the potential customer’s answers. Does it sound like you have a product or service that is needed by this person at this time? Great! Then it is time to start talking about your products or services to make a sale. Don’t talk about products or services that aren’t relevant, but show that you genuinely care and respect the person’s needs and desires by telling them how you can help their operation. The number one thing that attracts new customers is showing respect and a genuine concern/interest in people.